Welcome to the website of David J. Franks, Attorney at Law. With our law firm, your case will receive priority treatment, personalized care, and attention to detail. 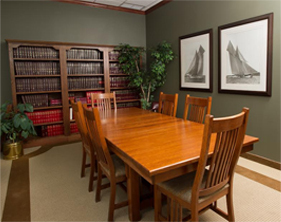 We have been serving the legal needs of our clients in Davenport, IA, Moline, IL, and the nearby areas since 1990. Whether your case requires the expertise of a probate lawyer, real estate lawyer, living wills attorney, or small business lawyer, we can provide the diligent legal services you need. Our practice areas include small business law, estate planning, taxation protection, real estate law, and agricultural law. We provide a client centered approach that is tailored specifically to the needs of each case. As your estate planning lawyer, David J. Franks puts your best interests at the forefront throughout the planning of your estate. He has more than 20 years of experience providing estate planning services with efficiency and accuracy. 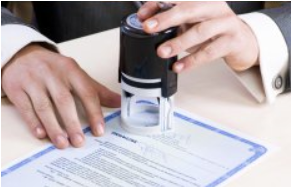 With the assistance of a knowledgeable wills and trusts attorney, you can have complete peace of mind knowing your property and family are legally safeguarded. All of your preferences will be clearly outlined according to your specifications. Whether you are in need of a wills and trusts lawyer or living wills lawyer, we provide exemplary legal services to benefit our clients. Attorney David J. Franks is the wills and trusts attorney who will make certain that your wishes are carried out according to your exact preferences. With our professional legal services, you can protect your estate and give your family peace of mind knowing your plans are established in a legally protected estate plan. Contact the law office of David J. Franks to schedule an appointment by calling us at (583) 362-3288 Ext 1. Whether your legal concerns require help from a living wills attorney, agricultural lawyer, real estate agent, or small business lawyer in Iowa or Illinois, you can rely on us for outstanding legal services.